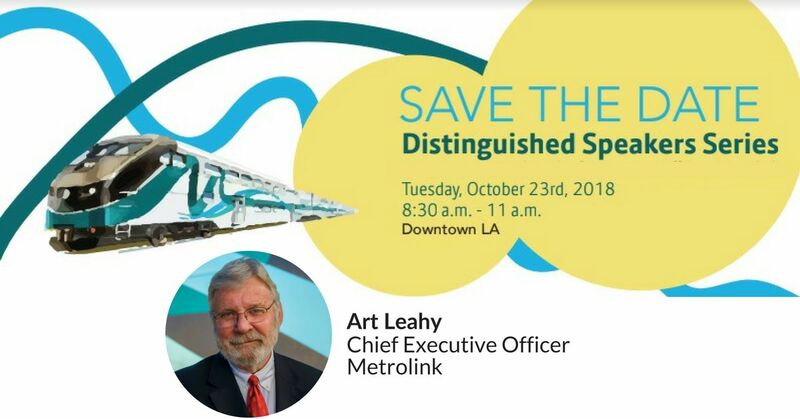 Having grown up in Highland Park, Art Leahy started as a bus operator for the Southern California Rapid Transit District (SCRTD) in LA in 1971 and rose through the ranks to become Metrolink’s CEO in April 2015. Prior to that role, he served as CEO LA Metro where he guided the implementation of one of the largest public works programs in U.S. history, securing billions in federal and state dollars to help finance construction of dozens of transit and highway projects. This includes an unprecedented five new rail projects under construction, including phase 2 of the Expo Line extension to Santa Monica and the Metro Gold Line Foothill Extension to Azusa, as well as the Crenshaw/LAX Transit Project, the Regional Connector in downtown Los Angeles, and the first phase of the Westside Purple Line subway extension to Wilshire and La Cienega. Between now and the 2028 Olympics, Los Angeles will expand or enhance its airport, its highway network, and its public transportation system to accommodate the millions of visitors to our great city. Which projects are on the horizon for Metrolink? What are the opportunities for small business owners in the ramp up to the LA 2028 Olympics?